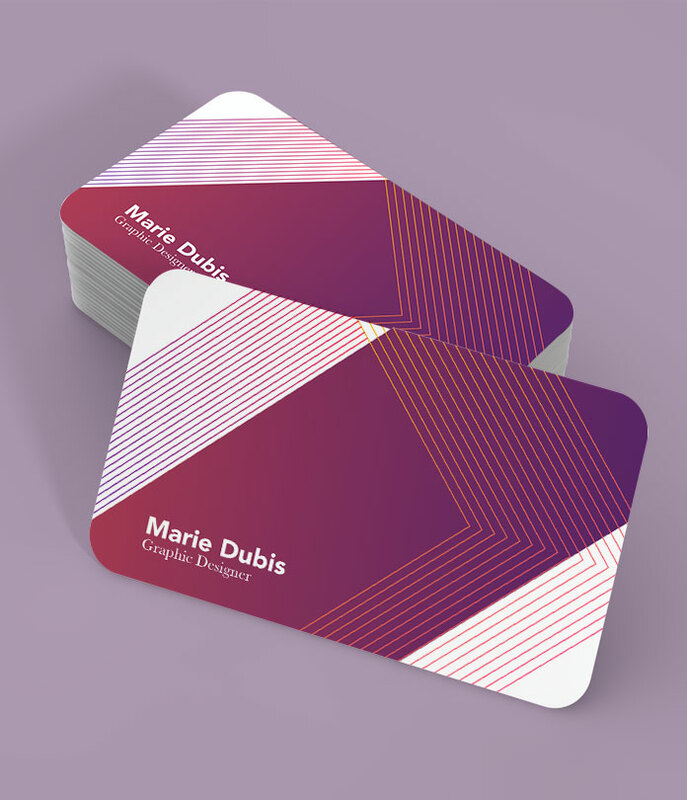 Get your business cards cut to exciting shapes with our existing templates, you can go with one or four rounded corners, or an undersized card with rounded corners. Full colour both sides (lithographically printed), 55x85mm, 400gsm silk, matt lamination both sides, die cut to shape. Prices subject to VAT.